In a game what many expected to be a blowout, turned out to be a close and exciting game, but also a sloppy one to. Between both teams there were five turnovers that were committed and also costly penalties that ended up destroying drives and bad play calling on both sides of the ball. 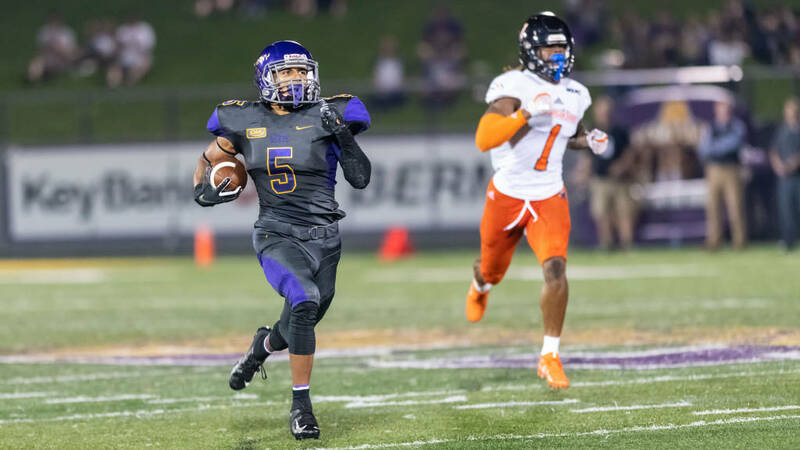 Overall both teams overcame all those obstacles and fought down to the end as it came down to one play in the end, when Albany defensive lineman Dean Grogg sacked and stripped Morgan State quater back D. Harris of the ball to recover the fumble and seal the victory for the Danes. More stats and story lines to come from this game, soon, stay tuned!